Across the country, angry mobs of protesters are flooding town hall meetings of GOP senators and representatives. The liberal media is enjoying the spectacle and emphasizing the supposed grassroots anger of average Americans. Among many issues, the attendees have been screaming about Education Secretary Betsy DeVos and her reform agenda, phony “Russian” connections to the administration, efforts to repeal and replace Obamacare, plans to dismantle onerous EPA regulations and the administration’s directive to rescind Obama’s public school mandate to accommodate transgender students. As usual, the left cannot engage in a civil debate, so too many of these town hall protesters have made vile comments, threatened Republicans in attendance and tried to intimidate the GOP politicians hosting the meetings. 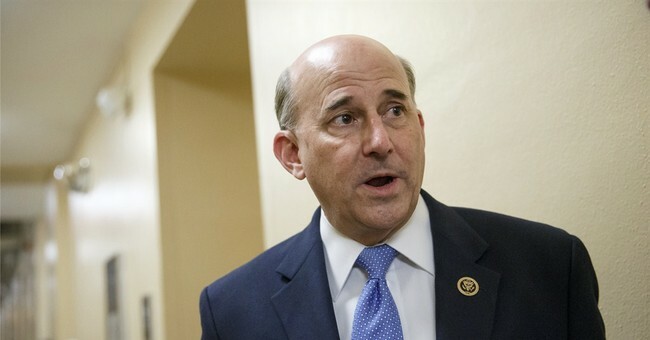 Unfortunately, it has gotten so out of control that some congressmen such as Texas Republican Louie Gohmert have been forced to cancel their town hall meetings. Gohmert said that the protesters were “from the more violent strains of the leftist ideology, some are even being paid, who are preying on public town halls to wreak havoc and threaten public safety.” Others such as House Majority Whip Steve Scalise (R-LA) decided to utilize telephone town hall meetings to receive legitimate input from their constituents. These moves were necessary because the hostile crowds are not genuine demonstrations of popular outrage, they are manufactured protests funded by liberal organizations like MoveOn.org. At a town hall meeting in Metairie, Louisiana on Wednesday, GOP Senator Bill Cassidy had to endure abuse from several hundred enraged activists. Frequently, he was jeered and not allowed to fully answer questions. On my Ringside Politics radio program, several attendees of the meeting reported that in the venue parking lot were plenty of vehicles with out of state license plates. Obviously, activists from outside of Louisiana converged on the town hall meeting to create a total ruckus. Sadly, their disgraceful objective was achieved. Some have compared these leftist agitators to the Tea Party activists who attended rallies in 2009 and 2010. Of course, there are many differences such as the fact that Tea Party participants were not paid to attend. At Tea Party rallies, patriots waved American flags and stood for the pledge. We sang the National Anthem with pride and gave thanks to God for the freedoms we enjoy in this country. Unlike today’s leftist mob, Tea Party supporters were respectful of others, did not curse or engage in violence. I was proud to have organized successful Tea Party events in Louisiana. We disagreed with the direction of the country under President Obama and used our First Amendment rights to advocate political changes. We helped elect a Republican House in 2010, a Republican Senate in 2014 and President Donald Trump in 2016. Unfortunately, many of today’s militant leftists attending the town hall meetings are not interested in debating or even discussing the issues. They are angry that change is coming to the country. They want socialized medicine, big government, regulations and open borders to continue. Instead of creating disturbances at town hall meetings, liberals should follow the Tea Party playbook and organize for the 2018 mid-term elections. Regrettably, they are acting like spoiled children, expressing their anger by cursing and making threatening comments and only hurting their own cause. As liberals are exposed in all their fury, more Americans will come to realize that the voters made the right decision in electing Donald Trump as our nation’s 45th president.